Recently, a throng of potters around the world have (finally!) taken to Periscope to create a lively community of clay people sharing their studios, what they are working on, thoughts about clay and more! A year ago, a periscope was something you might use on a submarine. But now, “periscope” has a new meaning. It is an app for your smart gadgets that allows you to stream live video to your followers worldwide. If you are a potter or ceramic artist, you can become a “Potter of Periscope.” Doesn’t that sound exciting? Really, it means you are part of a growing community of clay fanatics that want to share something with the world. Or see what other potters are sharing with the world. That’s right, a chance to “meet” and step into the studios of potters that you may never get to meet in real life! I suppose if you want an official “Potters of Periscope” certificate you can send $49.95 to Michael Kline and he’ll review your application. All kidding aside, there isn’t really a specific group to join or option to select. The Potters of Periscope are just a bunch of potters that are using Periscope and usually following each other. Perhaps as the Periscope app grows they may add groups or channels or other options that may be useful. It’s pretty simple. Download the app. Create an account with your Twitter account or phone number. Click the broadcast button to start sharing a live video feed. Or you can just follow people and watch their live broadcasts. You can even send messages to the broadcaster in (nearly) real time so it’s possible to have a conversation. You can also view a replay of a broadcast for 24 hours after it is streamed. If you find something you like, share the broadcast with your periscope or twitter followers. Find out more at the Periscope Help Page. What Does This Mean for the Clay Community? Who knows? Will this be just a passing fad? Will it be the next big thing? All I know for sure is that it’s a lot of fun! I’ve already “met” potters from all over the world. I streamed a few videos back in April 2015 and had a handful of visitors total. Recently I had a broadcast with 4 times that many on one live broadcast. So the community is definitely growing. Come join us! Maybe those of us who can’t make it to NCECA will get to experience parts of NCECA? Maybe potters will be able to offer virtual workshops and lessons? Maybe we can show the world what kind of process we use to create a pot? Maybe we can organize some kind of round table and take turns introducing ourselves. Maybe we can form our own “24 hr. channel” about all things pottery! Maybe we can attend a gallery opening across the country. Maybe we’ll get to see the secrets that some of our favorite potters use to create some of our favorite pots! Maybe the possibilities are endless? You can use the hashtag #pottersofperiscope in your broadcast title and tweets. Not required, but it may help other potters find you. Double Tap to switch between front and back cameras. Swipe up from the bottom while viewing a broadcast to see who else is watching. Tap a name to see the profile and follow them. Share broadcasts to Twitter, Facebook, and your Periscope followers. Include a link (or links) in your profile. Website, Etsy Shop, etc. Speaking of profiles… Share a little bit about who you are. People are more willing to follow someone that they know is a real person. Especially if they mention clay, pottery, ceramics, etc. 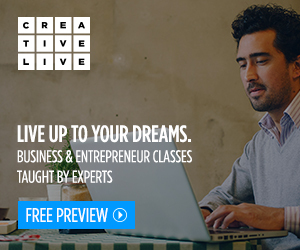 Take advantage of strong composition, adequate lighting, and a solid wifi signal if you can. Here are some potters that are already on Periscope. If you are on Periscope, leave your username in the comments. Or follow @artbyfuzzy (or tweet me) so I can follow you back and add you to the list! @klineola – Michael Kline seems to be one of the biggest advocates of periscope in the pottery community. Also the originator of #pottersofperiscope? @AGFPottery – Adam Field is also leading the charge. @artbyfuzzy – Brandon “Fuzzy” Schwartz – Let me know if you’re a potter on Periscope and I’ll add you to the list. Thanks for posting this. 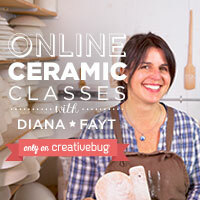 A great resource to our pottery friends. Sorry I haven’t been keeping our blog createniks up to date. ok I am out of touch, need to learn more about periscope but ever so grateful you detailed all the ins and outs. Wow! Thanks heaps for all the info! You’re a legend! Thanks for this great article. I’ve been part of this wave for only a few weeks and it has become a staple in my life. Thanks so much for including me CoriSandlerPottery @corisclay in this article. Thanks for the list of periscope potters. I don’t broadcast there often, but when I do I am @pfocazio. I do both pottery and henna. Does anyone know how to get Periscope set up on a PC? I can share a live broadcast with myself via email and watch on my PC, but I cannot seem to use my PC for Periscope otherwise. Loving periscope! I’m Colette Oliver or @clayetteo Thanks for the article. Thank you for the list, Fuzzy. I haven’t scoped yet, but will get my start by giving tours of the pottery that I have collected over the years. Thank you! I have thoroughly enjoyed watching the Periscopes! Such a generous group of artists. I am a potter from NC….new to periscope…..
A wonderful community thank you ! Hello! I’m a high school ceramics teacher and make pottery out of my own garage studio as well. I am a new, part-time Potter. I love Periscope and the community of Potter’s that has risen from it! I learn so much and feel part of a caring, fun, talented group of individuals. Thank you Periscope and Potter’s! Thanks for all the information, I couldn’t figure out how to turn my camera around, so thank you! I have done 2 scopes so far. None of the people who watched did pottery so it was a little strange. I love watching other potters so thank you for the list. Love, love, love Potters of Periscope!